It doesn’t seem all that long ago that I wrote a post announcing my move to India – a place I had often said I could never live, yet had now committed the next two years of my life to. Well, now that those two years are coming to an end, I want to reflect on my experience here. In order to honour my temporary home, I decided that every day in May I would post one picture of India on my Facebook page. I will write a round-up post at the end of each week. 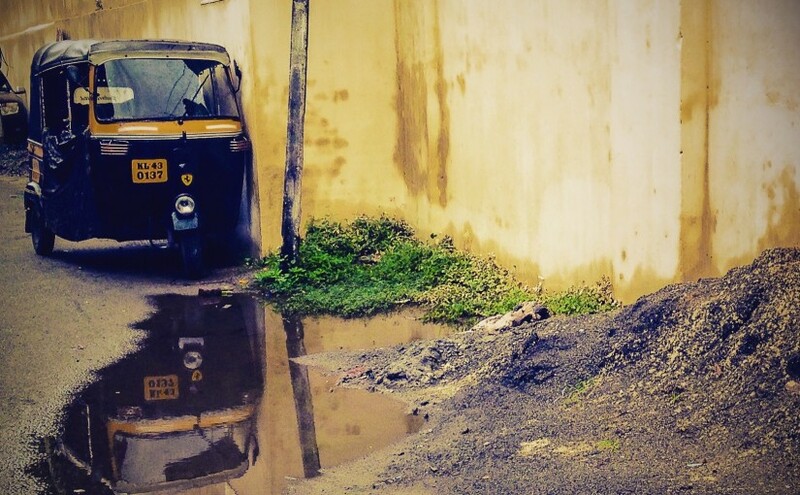 I took this photograph in my neighbourhood on my first day in India. It was early July, and the monsoon was late. 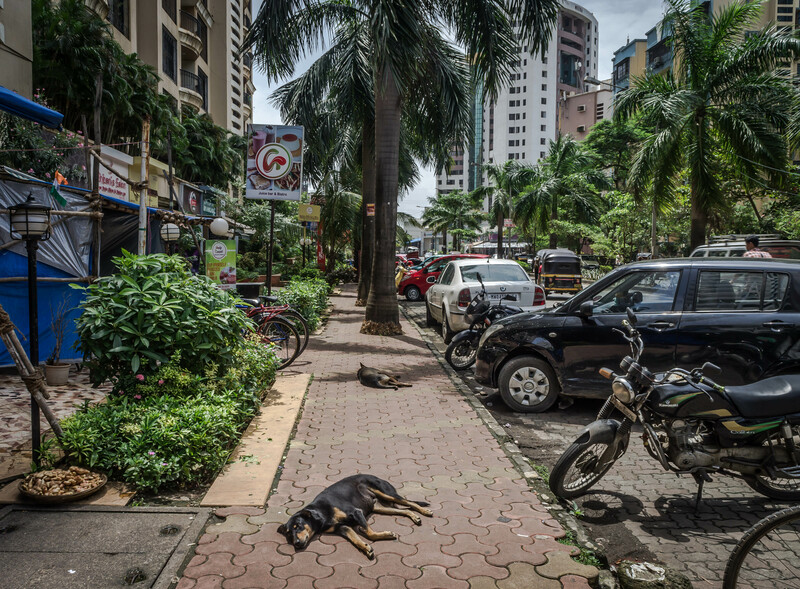 These sleeping dogs reminded me of Rudyard Kipling who said of the Indian heat: “only mad dogs and Englishmen go out in the midday sun”. In my case, only mad dogs and Englishwomen. I love the weather here; just the other day I went out of school at noon simply to feel the sun on my skin. Many of my Indian friends would call that kind of behaviour crazy, especially in May! 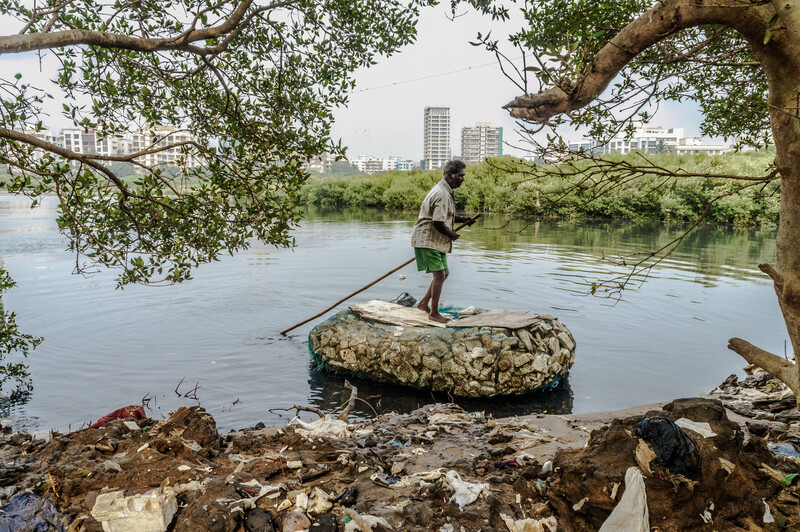 The raft that this guy is standing on is made of polystyrene blocks which have been roped together. For 5 rupees, he will ferry you across the river. He took my friend and her two dogs, plus me, and did an amazing job battling against a strong tide to keep his burdensome raft on a straight trajectory. 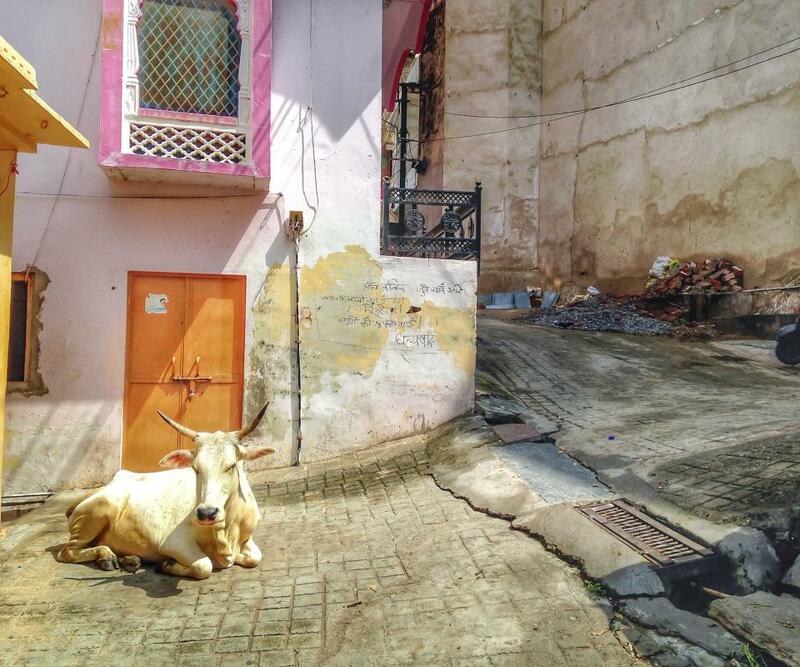 A cow in the street has become an iconic India photograph for most travellers, and finding one to photograph is not hard. As you probably already know, cows are sacred in the Hindu religion – often receiving better treatment than India’s less privileged minority communities. The cow became a hot topic during my first year in Mumbai when slaughtering, eating, or even possessing beef was made illegal in the state of Maharashtra: a decision that has since caused a great deal of political tension, and, in some cases, extreme violence. However; this cow in Udaipur, posing serenely by the hostel, seemed blissfully unaware of the conflict caused by its kind, so I got the iconic cow photograph in my first few weeks. 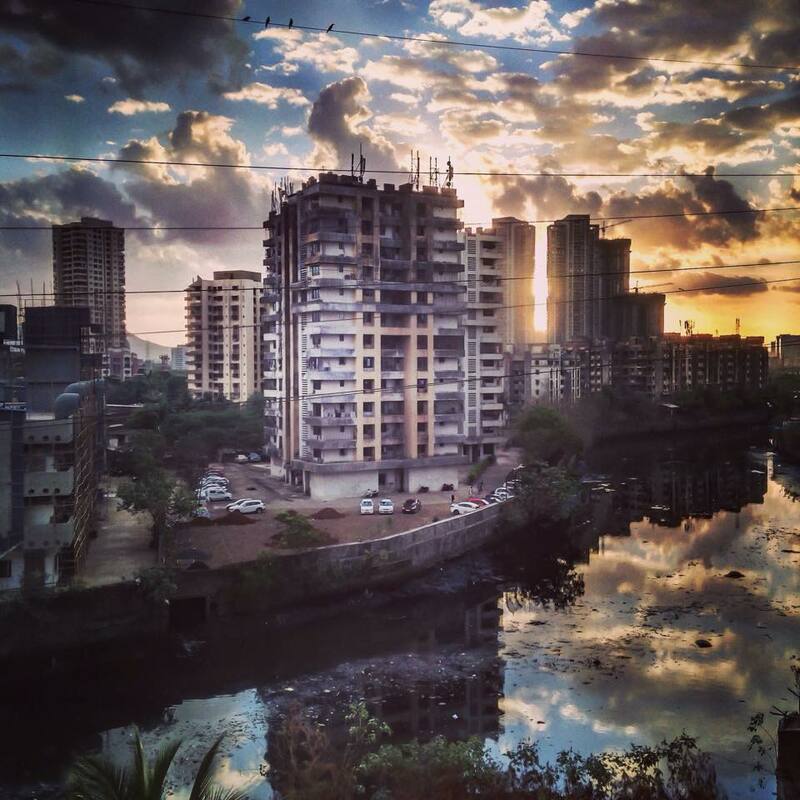 The sky in Mumbai is rarely dramatic. Usually it is either a clear bright blue, or is obscured by grey smoky haze. Clouds are pretty rare. Except when Monsoon is on the way. Early one morning, I opened my curtains to face the apocalypse. It only lasted a few moments, but I was quick enough to get the photo. The India that most travellers seek is one of peace, love, tolerance, and spiritual enlightenment. Living here has taught me that we in the West have romanticised India into a colourful utopia of smiling faces: a place of peaceful harmony between thousands of diverse communities. In reality, India has some quite unpleasant underlying conflicts and tensions – many of which never appear in our newsfeed. 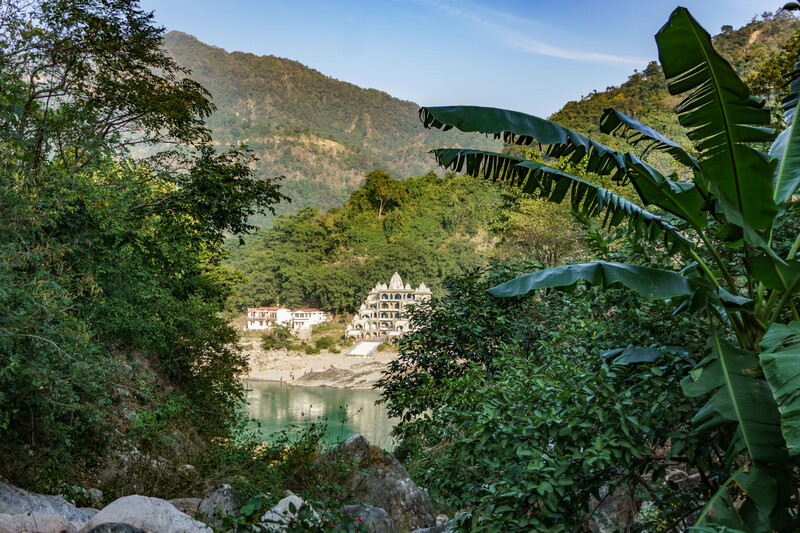 But, on the surface at least, Rishikesh – home of yoga – is where you are most likely to find peace for your soul. There are very, very, few places in India where you will experience Absolute Silence. Kerala is one of them. For hours on a boat bound by coconut reeds the only sound was the oars rhythmically dipping in and out of the water. God’s Own Country indeed. 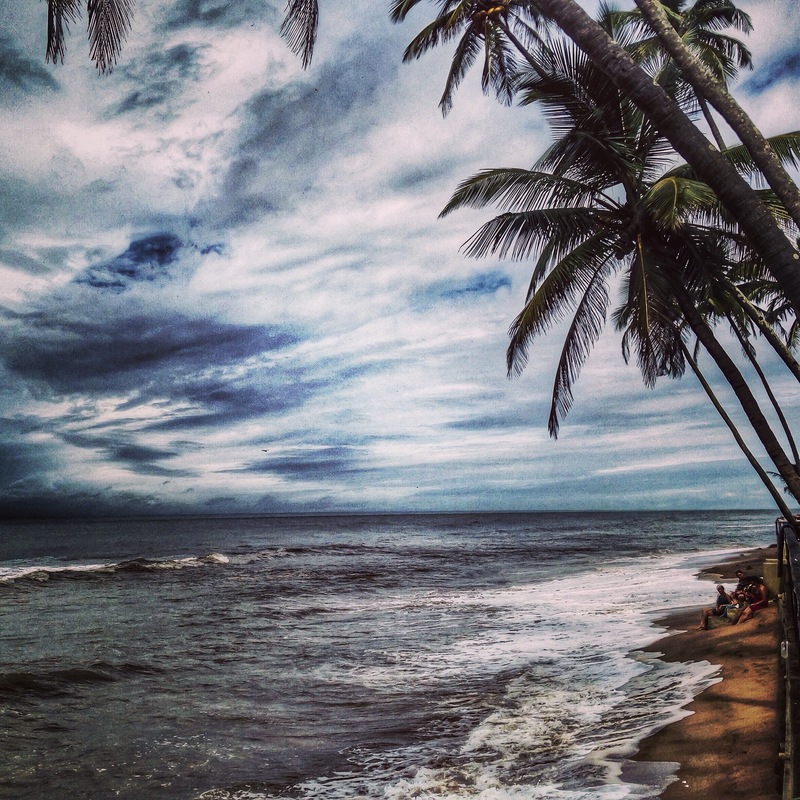 Most people go to Goa looking for sun, sea, and sand; but, with a typhoon lashing the Arabian Sea, we witnessed dramatic skies and super high tides. Although it was not the beach holiday we’d been expecting, it was nothing short of spectacular. Next week I will post my next 7 photos, or you can like my Runawaybrit Facebook page to see a new one each day! If you enjoyed this post, please read Part 2 and share away! Great photos! It’s so interesting see the cow just lying in the middle of the road like the stray dogs. So glad that your two year stay in Africa left you enriched, and – I love how you put this – finding peace for your soul in Rishikesh. Gorgeous photographs. One day I will be ready for India. Thank you. Do you have plans to visit India? It is such a crazy and fascinating place! totally loved the pics and it was in fact a fascinating topic! Yes. It has been truly amazing here. There is so much about India that I will miss. Sounds like a wonderful journey! Your photos are so beautiful, love how you edited them ? Fantastic photos! Especially the clouds over the city with the impending storm. I loved the way you describe life in India too – can’t wait to see the rest of the series! Thank you. India is honestly a place like no other. Every traveller should experience it. 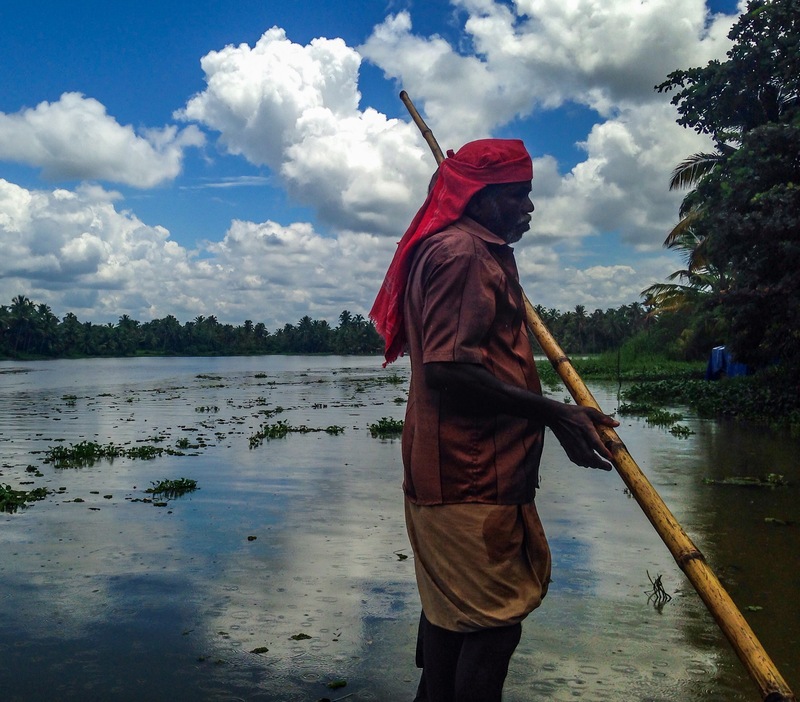 Kerala is unbelievable in every way! I hope you get to travel India soon! Loved your site! and this post about India is an eye opener for me. I have always wanted to see India but scared to go solo. I will really try to visit India soon, a lot of my friends have always reassured me that it is really safe to go solo. India is everything people say it is: colourful, friendly, fascinating, frustrating. You really will experience the whole range of emotions here. I feel very safe in Mumbai, where I live. I have not travelled solo around the rest of India, but I know many women who have. I would give the same advice here as anywhere – trust your gut feeling. Don’t take public transport alone. Be cautious with how you deal with Indian men who try to befriend you. I am sure that there are a lot of lovely Indian men here, but foreign women are viewed as willing to do what Indian women will not. If that’s not what you’re looking for then it is best just to stay distant and move away. Mirrored sunglasses are an awesome deterrent against the stares – men don’t like to see their own ogling face when looking at you!! If you can, try to get an invite to a family meal, festival, or wedding! Home-cooked food in India is Heaven-on-Earth! Thank you so much for commenting. I really wanted to try and sum up the wealth of emotions I am feeling in my last month in India! I love how you’ve captured India so beautifully with these photos. They remind me of the time I spent there many years ago. I’m looking forward to the rest of the series.